Mathematical proofs can be simple or extremely difficult. But they’ve got one thing in common; they are at least a little elegant. Or just consist of 200 terabytes of data. Two hundred terabytes look like a ridiculous amount of data, and it is. It is enough to fill the hard drives of 441 laptops and the compressed version of the data only takes already 30.000 hours to download, that’s about three and a half years. 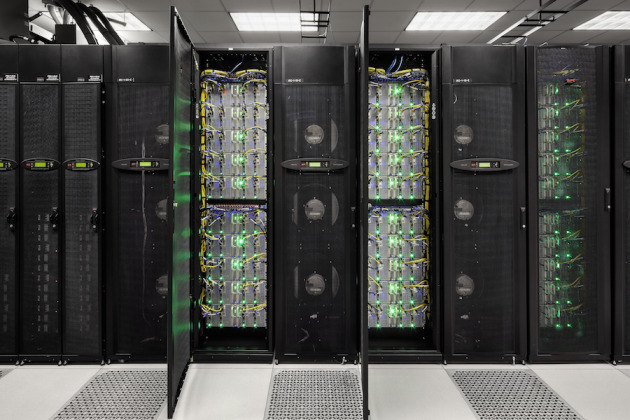 The supercomputer that ran the calculations needed 2 days, with eight hundred processors running at the same time. Nobody is, of course, going to read the proof, since that is impossible. This gigantic thing also has the world record. The proof took it from another mathematical proof that was ‘just’ thirteen gigabytes big. But for what could you possibly need so much data? Well, the problem is called the Boolean Pythagorean triples problem. 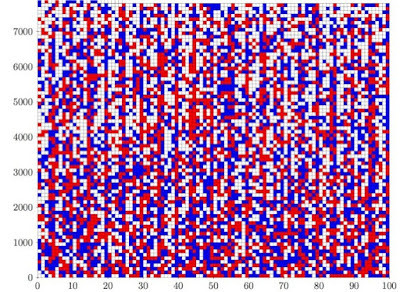 It asks the question if it’s possible to give each number a colour; red or blue, in such a way that there aren’t three numbers that fit into Pythagoras’ equation; a2+b2=c2. So when 3 and 5 are blue, 4 has to be red, because 32+42=52=9+16=25. As it turns out, to the number 7824, numbers can be coloured in a ‘valid’ way, but after 7824, not anymore. Up to 7824, there are 102,300 possible colour combinations, that's a 1 with 2300 zeroes. 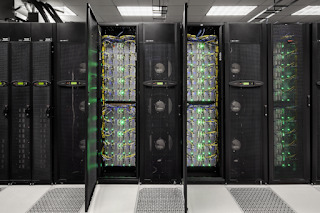 Fortunately, Oliver Kullmann and Victor Marek, the mathematician who found the proof, could slim the amount of combinations the supercomputer had to check to just under a trillion. After this proof, a new question arose. Is this really still maths? A lot of mathematicians think otherwise. Because nobody knows why it’s possible to create double-coloured triplets under 7824, but not above. Nor does anyone know what’s special about the number 7825 that it ruins everything. Terence Tao proved the former world record problem, which needed thirteen gigabytes of data to proof, in the ‘old-fashioned’ way, so by reasoning and thinking logically, a year after the computer proved it. 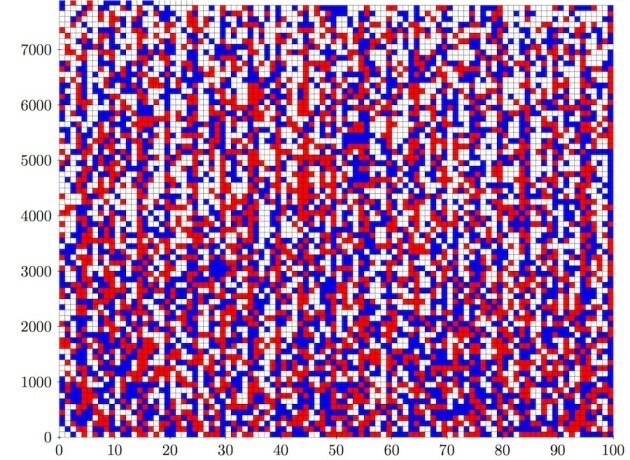 Many mathematicians consider that a much more satisfying way and thus the search for the proof of the Boolean Pythagorean triples problem isn’t over yet. Click here to read more about mathmatics.